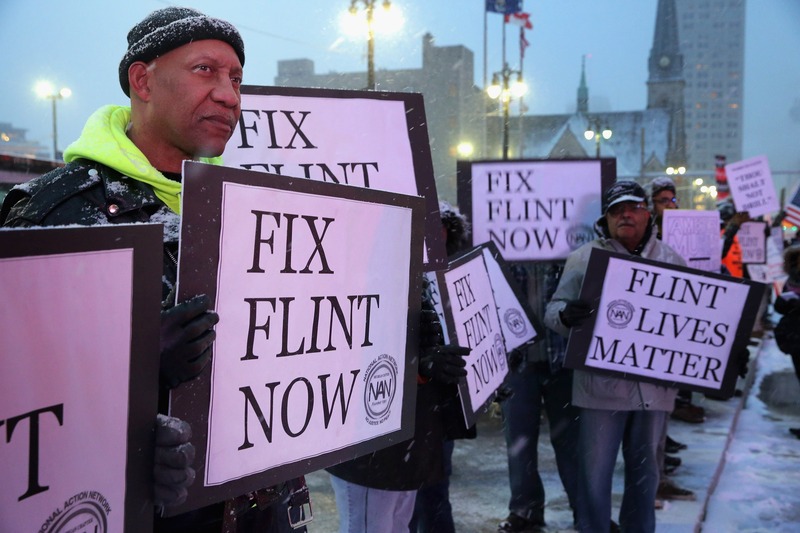 A federal judge issued a court order Monday allowing a class-action lawsuit over the Flint water crisis to proceed and reinstated former Gov. Rick Snyder as a defendant. U.S. District Court Judge Judith Levy said in Carthan v. Snyder that new evidence shows Snyder was aware of the health risks associated with drinking Flint River water in April 2015 — and he subsequently failed to inform residents who could have otherwise taken measures to protect themselves. Levy, who was appointed by former President Barack Obama in 2014, reinstated Snyder as a defendant Monday after having removed the former GOP governor from the case in 2018. The decision acknowledges new evidence in the case regarding the extent of Snyder’s knowledge about health risks presented by the water. It states that in January 2015, Snyder met with staffers to talk about the public health threat from legionella bacteria present in Flint River water. Snyder’s former chief of staff, Dennis Muchmore, informed the governor that the water issue was “a danger flag,” after Snyder and his staff discussed whether they should issue water filters to residents, according to new evidence. “So when plaintiffs state that by February 2015,” Levy wrote, “the Governor was fully aware of a public health threat posed by the water supply in Flint, and that by July 2015, at the very latest, the Governor knew that the water supply was contaminated, these conclusions are supported by well-pleaded factual allegations. In April 2014, Flint switched its drinking water source from Detroit’s water system to the Flint River. State and local officials failed to apply corrosion control chemicals, and without those federally required chemicals corrosive river water flushed lead from the city’s aging pipes into residents’ water supply. Elevated levels of lead were subsequently found in city residents’ blood, while a Legionnaires’ disease outbreak linked to the contaminated river water killed at least 12 people and sickened dozens more. Attorney General Dana Nessel’s office did not immediately say whether the department will be defending Snyder in the class-action suit, or if he will retain private attorneys. “It would be premature for us to comment on that until we’ve completed our review of the 128-page decision,” said attorney general spokesman Dan Olsen. In February, Nessel announced that her office is working to settle 79 pending civil lawsuits against the state related to the Flint water crisis, as the Michigan Advance previously reported. Nessel’s office would therefore be expected to defend Snyder in the civil lawsuit. County Prosecutor Kym Worthy, including lawsuits against 15 former and current state and local officials. Eight of those officials face trial, after seven took plea deals. Former Attorney General Bill Schuette’s office initiated the criminal charges, previously led by former Special Prosecutor Todd Flood. Levy’s order noted that before Snyder admitted a problem in Flint, religious leaders and news articles discussed the connection between Flint River water and health problems in Flint. Measures to protect themselves were thwarted because “the governor misled them into assuming that nothing was wrong,” the order said. In the order, Levy also rejects motions to dismiss claims of “bodily integrity” against former state Treasurer Andy Dillon and former Flint emergency managers Darnell Earley and Gerald Ambrose, in addition to several other state officials. She kept them as defendants in the suit. Levy dismissed claims against several state officials, including former Michigan Health and Human Services Director Nick Lyon, former Department of Environmental Quality Director Dan Wyant, former Emergency Manager Ed Kurtz and former Flint Mayor Dayne Walling. Agree with the judge on this. But in various court rulings — and this may seem obvious — it always seems to depend on WHO is the judge. As a child was taught that judges are neutral. ??? ?